This year’s event was meant to feature two scholars and friends: Muhammad Ali Shomali of the United Kingdom and Harry Huebner of Winnipeg. Unfortunately, illness prevented Huebner from participating. In his stead, Irma Fast Dueck and Huebner’s son, Chris, both professors at Canadian Mennonite University in Winnipeg, shared the stage with Shomali. The questions, “Why is dialogue valuable?” and, “What has changed for you because of it?” were posed to the speakers and then discussed around tables. 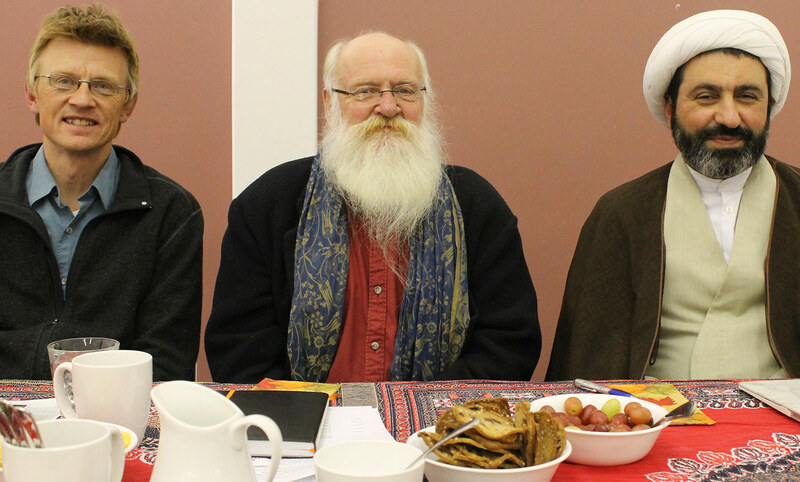 With humility and passion, the speakers shared personal stories of a shared love for God. Fast Dueck talked of how she has valued and learned from her Muslim friends. “When we recognize differences, we can begin to understand each other,” she said. 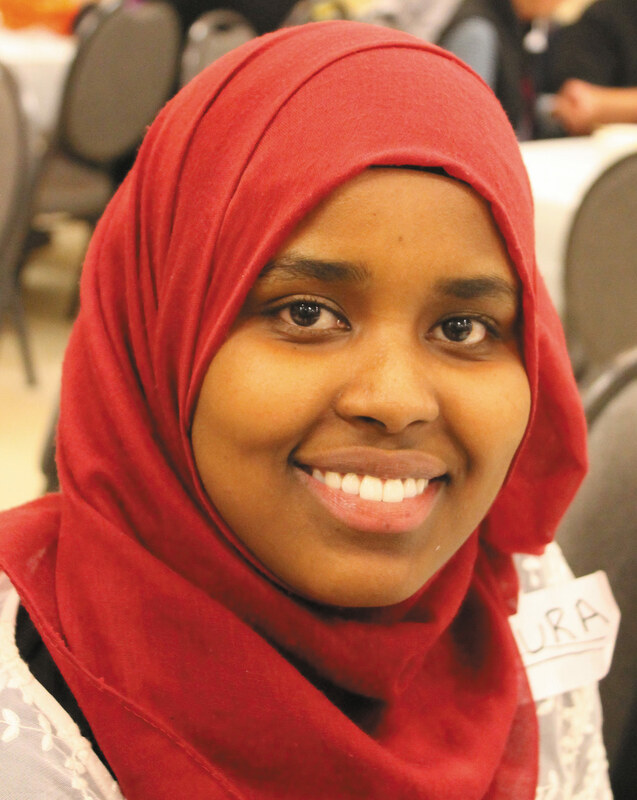 After the dialogue, a young woman, Nuura Mohamoud, said, “An event like this changes my life!” She initially hadn’t wanted to give up her free time to attend, but her friend, who attends a discussion group with Donna Entz, a Mennonite Church Alberta outreach worker who builds bridges between Christians and Muslims, convinced her to go. In spite of believing she would not be changed by the dialogue, Mohamoud was inspired. She said she was amazed at the diversity of Christians at her table, and inspired by the speakers and the open-minded discussions that followed. She was especially impacted by Shomali’s words that Christians and Muslims should not be fighting, and that conflict resolution needs to start within people’s close relationships, their families and friends, and then it can spread. “You think you have it all figured out and then . . . I left with new perspectives and my purpose was renewed,” she said. 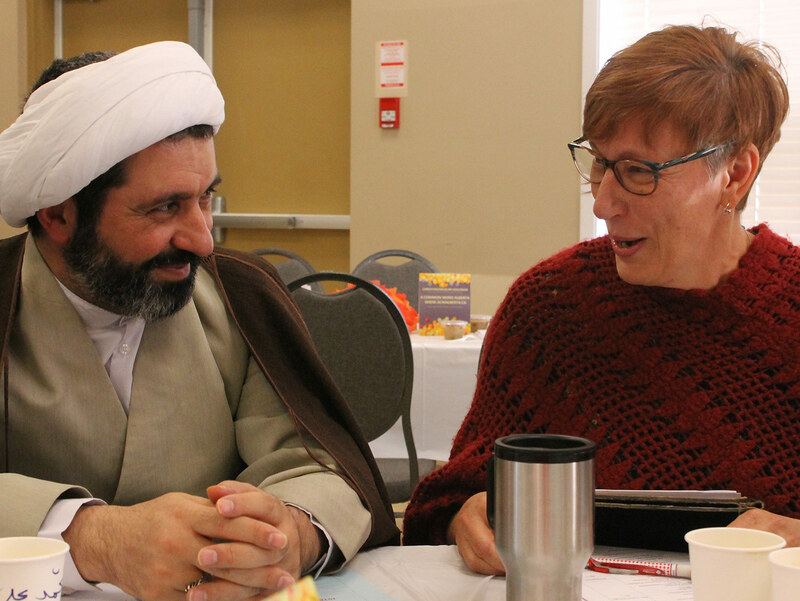 The “Two friends, two faiths” event ran from Oct. 25 to 30, with a variety of discussion venues: the Islamic Shia Ithna Asheri Association, Kings University, the University of Alberta, St. Matthias, First Mennonite Church, Trinity Lutheran Church, and the University of Alberta Augustana campus in Camrose.